Calisse entered the craft by taking metalsmithing classes at the Denver School of Metal Art, and training from other artists. 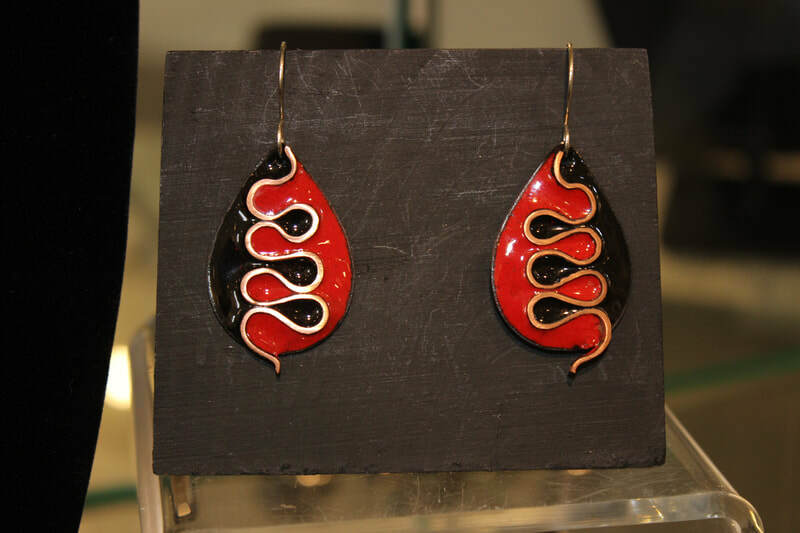 She convinced Steve to accompany her to an enameling class and he was hooked. Calisse loves working metals, stones, glass, enamel, and jewels into something unique and beautiful. It brings her joy to see someone wearing and enjoying a piece of jewelry that she has created. She also enjoys reading about the metaphysical properties of stones and used to carry some in her pockets to benefit from those properties. Now she creates “wearable art”. 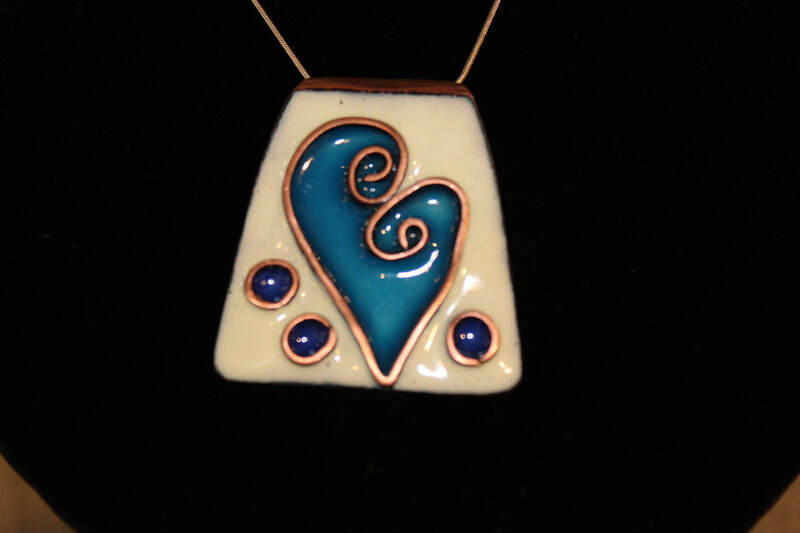 Steve enjoys working with copper and enamel, making earrings and pendants that are full of color and pleasing symmetry. Learning and using the techniques available to enabling art very much is part of the fun in working in the studio to create his pieces of art. Steve grew up in South Africa and moved to the United States when he was 16. Calisse grew up on a farm in Indiana with a ginormous family. The couple lived in Colorado for over twenty years and recently moved to Oregon. They have four children and two grandchildren. Their inspiration comes from nature and a love of traveling, using the belief that life is an adventure to embrace, as a catalyst to the jewelry line “Silver Moments”.